Last week, we discussed what fascia is and why it is important in general. This week, we are going to talk about why it is important for athletes specifically. Of course, these things correlate to the non-athlete as well. To review…fascia is a fibrous connective tissue that is literally EVERYWHERE in the body. If you were to remove all tissues except fascia, you would still have a 3D model of your body. Fascia plays an integral part in how we move, especially for athletes. Here are 3 reasons fascia is important for an athlete. 1. 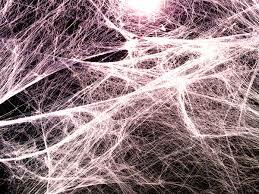 Fascia is our body’s equivalent to a sponge! Think of it this way…when a sponge is dry, it is hard and very brittle. Thus, with very little effort, it is broken apart. 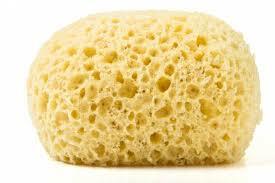 But…when a sponge is hydrated, it is resilient and bounces back easily. Fascia is the same. When dehydrated, it becomes brittle and breakable, but when it is hydrated, its resiliency allows for effortless gliding over, around and through the muscles without dysfunction. Our stability and ability to move are determined mainly by the health and hydration of our fascia. This is extremely important for athletes because movement and stability are everything when it comes to success. Unrestricted mobility gives an athlete the advantage over an opponent because they are able to do things their competition cannot do, especially if the opponent is restricted by dehydrated fascia. Stability is important in preventing injury. Fascia that is properly hydrated will move and stretch and glide effortlessly over muscles allowing them to contract at their highest potential then return to its original shape and position without any integrity loss. Dry fascia will pull apart and separate from the muscles leading to injury and muscle dysfunction. How do we hydrate fascia? Do we drink more water? Not necessarily. While keeping your body hydrated in general will help, that kind of hydration is more for cell and organ function than fascia. In order to hydrate fascia, you must have it manipulated. At Pro Chiropractic, all 5 chiropractors are highly trained in many different soft tissue techniques, including Graston Technique, FAKTR, Myofascial Release, Fascial Manipulation, and Rapid Release. Using these modalities, we are able to rehydrate fascia and rid the body of “fascial points” (similar to trigger points) that may cause pain or hinder proper motion. We all know that being pain-free and mobile are very important to athletes of all ages and levels. 2. Movement variation plays an important role in fascial hydration. Movement itself helps to bring hydration back to the fascia, but that movement must be varied…in both type and tempo. Doing the same repetitive movements can be damaging to your joints, leading to issues like arthritis, but those repetitive movements are actually draining the water from the fascia in those particular directions. When that happens, the dehydrated fascia turns brittle causing breakage in the tissue leading to injuries. Changing up the workout routine, like cross training, can help rehydrate tissues in all directions, thus keeping the resiliency and preventing soft tissue injuries. Always always always incorporate proper rest periods into your workout routine. Rest also helps to rehydrate the fascia. Think about how when you walk on the beach near the water…when you step on the sand, you see the water leave the area where you stepped, but as soon as you lift your foot, the water returns. It works the same way with the fascia. 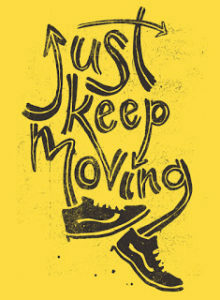 When you work out, it is like stepping on the sand, water leaves the tissues. When you rest, it is like lifting your foot, water returns. 3. Fascia is the largest sensory organ in the body! Research has recently surfaced showing that the fascial system may be the largest sensory organ in the body and is thought to have six to ten times more sensory nerve receptors than muscle tissue. In simpler terms…fascia feels more than muscle. According to Gibson in a 2009 study, when you feel soreness a day or two after a tough workout, that Delayed Onset Muscle Soreness (DOMS) is actually coming from the fascia, not the muscles. Therefore, it is believed that the fascial system is a system of proprioception (awareness of your body in space). Maintaining hydrated fascia is very important in your body’s ability to stay aligned and functional, which aids in keeping small issues and injuries from progressing into larger ones. In order to fully utilize the sensory and proprioceptive qualities of the fascia, all you have to do is keep moving…especially those varied movements we talked about before!